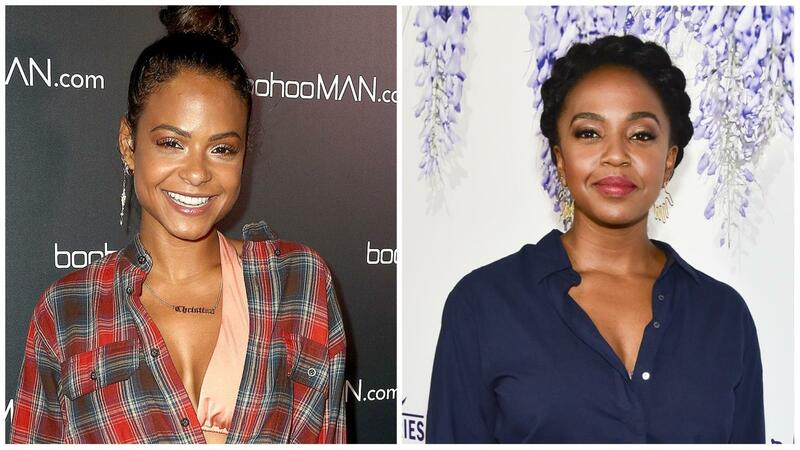 Christina Milian and Jerrika Hinton are making their Hallmark debuts this Christmas, but they’ve already made Hallmark history. The two are the first black actresses to be cast as romantic leads in a Hallmark Christmas movie, with Milian, an Afro-Latina, taking that place on Hallmark Movies & Mysteries with “Memories of Christmas” and Hinton on Hallmark Channel with “A Majestic Christmas.” Entertainment Tonight first shared the news of their casting. Mark Taylor and Christian Vincent, who will co-star with the women respectively, have made history alongside them as the first male black actors to be cast as romantic leads in Hallmark Christmas movies. In “Memories of Christmas” Milian will play Noelle, who was raised by the queen of Christmas. When she inherits her late mother’s house, she finds out that her mother had been hiring someone to decorate it, Dave (Mark Taylor). The deal is off, but Dave convinces Noelle to let him carry on the tradition. As the display goes up, Noelle’s defenses start to come down. She embraces the town’s Christmas Gala that was her mother’s legacy, finds unexpected love, and develops a joy for the holidays that she never thought possible. Can Iyanla Vanzant Help the Braxtons “Fix Their Life”?